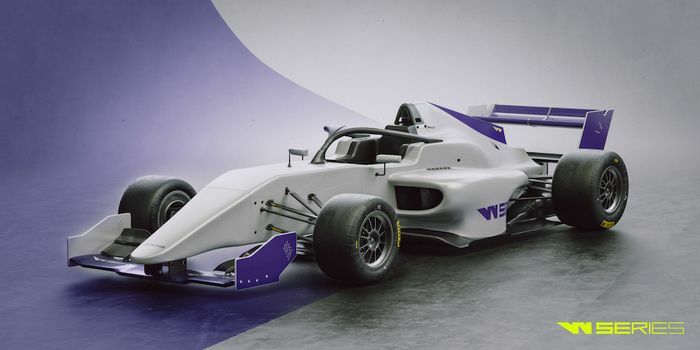 The motorsport world’s newest single-seater racing series has just been announced. It’s called W Series, and there’s a crucial difference between it and other junior Formulas: the championship is exclusively for female entrants. The series will be taking to tracks around Europe for the debut 2019 season, expanding to circuits elsewhere in the world in the years that follow. It’s also free to enter, so long as the entrant can pass a “Rigorous pre-selection programme/examination involving on-track testing, simulator appraisal, technical engineering tests, fitness trials,” the series organisers say. So, getting a seat in one of the F3-spec cars will be based on driving talent and driving talent alone, without the ability to snare sponsorship being a factor. There’s also a $1.5 million prize pot for competitors, with the champion claiming a third of that. However, the idea has dramatically split opinion in the racing world on the day of the announcement, with many from the sport - women racing drivers included - voicing support and concerns for the series. I’ve won and been on the podium in every series I’ve raced in. So what’s stopping me reaching the very top? Not my ability. It’s lack of Money. W Series claims that a large part of its mission is to get more women interested in entering the male-dominated sport in the first place. “At the heart of W Series’ DNA is the firm belief that women can compete equally with men in motorsport. However, an all-female series is essential in order to force greater female participation,” it says. At this stage, it’s hard to predict how the concept will pan out. We’ll certainly be watching with interest.